​This Fuf chair almost looks like a sunken couch when you first look at it. If you’ve been looking for something that can fit multiple people, it can be difficult sometimes to find something that not only fits multiple people but something that’s comfortable as well because most XXL bean bag chairs are rough and hard. This bean bag couch is perfect if you’re in the mood to snuggle with someone. It’s large enough to fit a partner and yourself but still snug and cozy with a warm embrace – as all bean bags should be! This bean bag foregoes the hard inner panels for support in favor of extra strong, reinforced double stitching to help it hold its shape. It’s why it’s so much softer than other large bean bags out there. Big Joe has gone the extra mile to make sure that you’ll be safe and not have to worry about destroying this bean bag if you choose to share it with a special someone. This extra/extra large Big Joe bean bag is perfect for anyone looking for the perfect fuf chair for movies, gaming or relaxation. The color scheme is pretty general as well, so you won’t have to worry about the chair blending in or being out of color with the rest of the room. It comes in several sober and muted colors that make it such a good option to pair with any type of room. You could even pop this down in a carpeted living room without stirring up too much of a fuss with the family. The soft, plush feel that this bean bag delivers is rather unique as most other bean bags in this price range. This bean bag is designed with an emphasis on how soft and relaxing it is. It’s far from 'firm' by any means and you should keep that in mind. This bean bag might even be too soft for some people as it lets you really sink into it when you sit down. The extra large size and durable design also make it great for use in a sensory room as a crash pad for kids or adults with sensory issues. Keep in mind that this Big Joe bean bag is very big. Yes, it says XXL, but it is as big as a normal sized sofa and can take up quite a bit of space. If you have the room for it, you will have a super comfortable bean bag chair that can be used to relax watching TV, gaming or reading. It isn’t hard for me to see myself taking naps in this thing. This bean bag is filled with Big Joe’s fuf-foam, which doesn’t just make it super comfy, but also acts as an excellent thermal insulator. This is the perfect bean bag to sink in to on a cold night, with a good book and a hot cup of cocoa. When you buy from Big Joe, you know you’re going to get a quality comfort fuf chair and Big Joe always offers a wide variety of bean bags in a huge assortment of different sizes and colors. Everything from the plain brown to the off-land colors that are sure to light up a room as you enter. This particular model is called the Black Onyx Comfort Suede and is every bit as comfortable as it looks. This Fuf chair is a couch like an experience for a fraction of the price. If you go to any furniture store, an actual couch can cost you thousands of dollars but this Big Joe bean bag is about the same size as a standard couch and can cost you less than $200 ( as on the review day 29th may 2018), which is more than a steal in our book. It’s one of the coziest sitting experiences we’ve ever had and it’s comfortable for the boot to sit on, without a doubt. You’ll fall in love with the overall relaxation experience as you sink int this fuf bean bag and get lost in your thoughts. The fill is called Fuf and is made with 80% recycled material and is 100% recyclable. Feel guilt free when relaxing in comfort knowing that this was an eco-friendly and sustainable product purchase. The foam is recycled, but that doesn’t mean that it’s any less insulating or springy than non-recycled foam is. In fact, the foam used in this bean bag is a healthy mix of several different types of foam. This gives it certain firmness, while still allowing the softer types of foam to provide that plush, springy feeling that all bean bag lovers chase after. We obviously wouldn’t recommend that you open it up by yourself, as it can get quite messy if some of that foam escapes the bag. When it’s time to refill your bean bag, it’s best to shake all of the foam to the bottom, away from the zipper before opening it. The fine particles can be particularly troublesome. While this definitely wasn’t the easiest bean bag to set up that I’ve ever had, it was easily one of the most comfortable chairs I’ve ever sat in and I’m actually considering getting rid of my couch in my living room so that I can use this full time. Not sure how the family will feel about that but they seem to love this chair as much as I do so I don’t think they’ll object. At first, I hesitated a bit to get this chair and then it ran out of stock. I had to wait a month to get my own and I can see why they ran out. This chair is super comfortable and feels so sweet and soft to touch. I love this chair and my kids love it too. 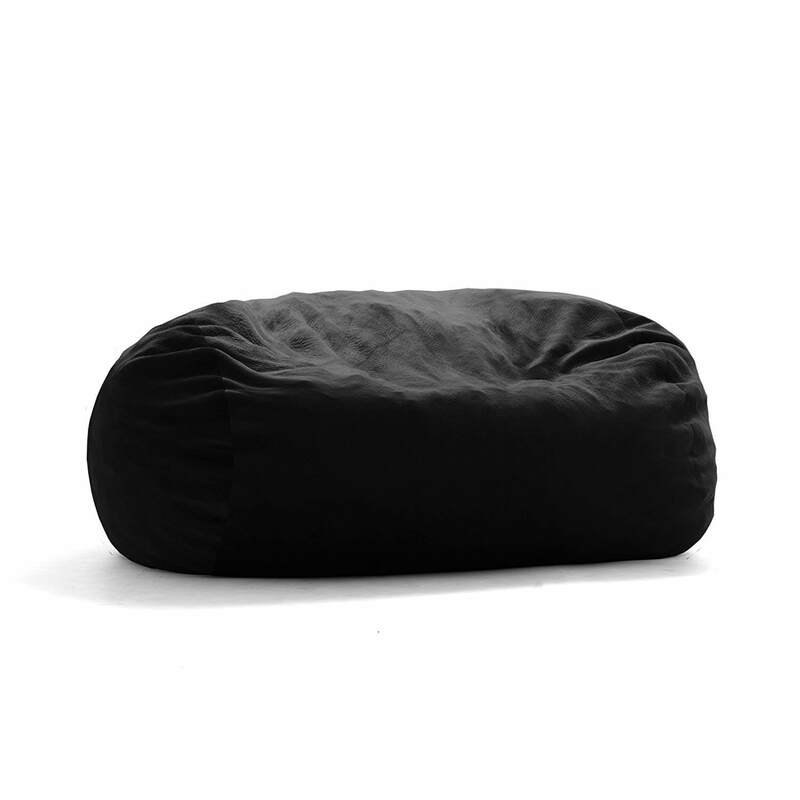 ​This Fuf bean bag isn’t one of the cheapest chairs but it’s not too overpriced as well. Another great product from Big Joe, it’ll more than likely have the Big Joe insignia or logo on the chair somewhere. This chair is large enough to fit several average people comfortably and this particular model comes in a Black Onyx Comfort Suede scheme but Big Joe offers more colors if you’re looking for a little more diversity in the color scheme of your room. The overall chair length should be 7 feet, no more and no less, so make sure to look out for proper specifications for this chair. This Fuf bean bag chair is made and filled directly within the USA, so if you’re ordering from the USA, the shipping will always be free and quick. Make sure that the manufacturer specifies that this chair is from the USA. There are some other sites out there that try to sell knock-off Big Joe products and they do a horrible job of doing it. For this reason, we point all of our potential future customers to Amazon. The reviews of this chair speak for themselves if you don’t want to take our word for it. When your Big Joe bean bag arrives, it will be compressed in a bag inside the box. Once you open the bag with the foam, you will need to pull the foam apart to get it into small pieces. Then once it is placed inside the cover, it should be allowed to decompress for 7 to 10 days. You may be able to use this fuf bean bag as little as 4 days, however. There will be some off-gassing from the memory foam which could last only a few a hours, to slowly dissipating after a few days. Keep it in a well-ventilated area for at least a few hours to avoid a headache from the fumes. After sitting on the chair for a while, it won't expand back to its original shape completely and will need to be refluffed. Just turn the bag over if it is too heavy to lift. If you can handle the weight, then pick it up and drop it down to loosen the foam. Eventually, hopefully, in a few years, your foam will get compressed to the point where it won't fluff anymore. At this point, you can order replacement foam to refill it. The Big Joe XXL Fuf Foam chair is one of the highest-quality bean bag chairs available on the market right now. Don’t waste your time or money on knock-offs pretending to be the same quality as Big Joe. We stand behind Big Joe products 100% because they put nothing less than 100% effort into their chairs. 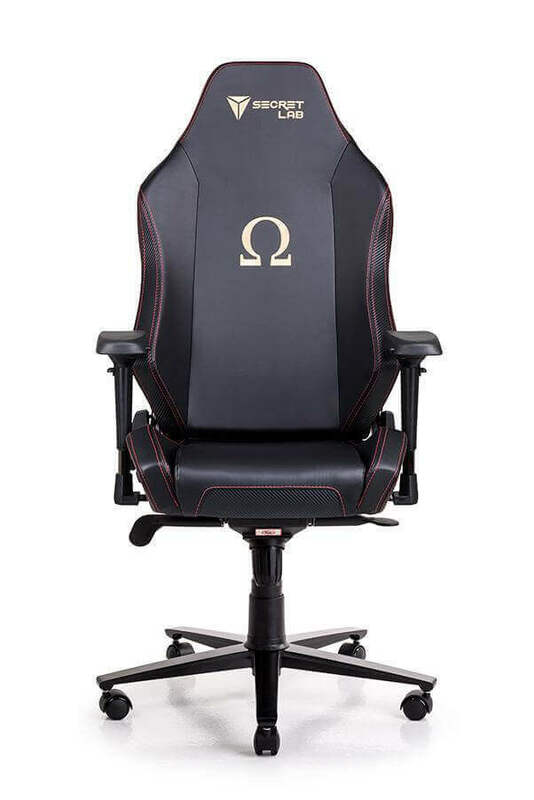 They’re pristine quality and we recommend you get yourself your own chair this minute. Since 10% of their profits all go to charity for kids, you can feel good about your purchase knowing that Big Joe is a company that cares. It is very easy to buy products from them because of the quality, but also because it feels good to support companies that do the right thing. Wherever you end up using this Big Joe bean bag, in the spare room, your living room or a kids playroom, the Fuf bean bag will see a lot of use. Don't be surprised if you have to fight over it when you want to relax and watch Tv or read a book. The only problem we have with it is that it is so cozy you may find yourself falling asleep in it more often than not!